Stojo Mini Meet Mini, a brand new size for 2019. Corkcicle Snowdrift Inspired by marble, the Snowdrift Collection highlights the elegance of stone featuring greys and whites, with a matte finish. Corkcicle Neon Influenced by the bright colours of summer, Corkcicle brings you the Neon collection, with a soft-touch finish. What’s new? Hip Cup Travel and Hip Cup Glass Featuring new on-trend colours, raise your on-the-go style experience with Hip Cup. Soma Jug Made to stand out, Soma’s Jug is sustainable from the beautiful bamboo handle, to the sugarcane filter casing and coconut shell filter. Soma Water Bottle A new size, with a soft-touch carry loop it’s great for on-the-go. n 2012, Soma introduced beautiful and eco-friendly water filters, that provide healthy drinking water to all, creating beautiful hydration products with a mission to help customers feel good about their water. Soma is made from the highest quality materials right down to the beautiful sustainable white-oak handle and lightweight borosilicate glass. Hereâ&#x20AC;&#x2122;s to simple, healthy hydration everywhere. orkcicle creates award winning and innovative hydration and barware products. What started in 2011 as an endeavour to chill wine to the perfect drinking temperature, quickly evolved into a pursuit to make every sip an experience. Corkcicle’s growing line of products are fuelled by innovative design and social responsibility – inspired by a commitment to complement personal style while at the same time reducing impact on the planet. Twice named a Red Dot Design Award recipient and one of INC.5000’s fastest growing private companies in America, Corkcicle has also landed on ‘Oprah’s Favourite Things’ list three times since 2011. Corkcicle Origins Collection The Origins Collection draws inspiration from the untouched beauty of Earthâ&#x20AC;&#x2122;s raw elements. Corkcicle Dipped Collection Completely submerged and dripping in cool, this collection has been elevated to new heights. Colour Block is a striking statement, with the contrast of black and white it demands attention wherever it goes, standing out from single-serve plastic bottles and adding to your style. Corkcicle Neon Collection Brightening up your bag, the Neon Collection brings the summer tropics to your hydration. Corkcicle Unicorn Collection Add a touch of enchantment to your hydration, with a light-catching, opalescent finish with plenty of sparkle. GREAT FOR A PITCHER OF COCKTAILS! Corkcicle Poketo Collection LA-based brand Poketo makes design-conscious goods that cultivate a creative lifestyle and reflect its philosophy of “Art For Your Every Day.” Together, we’ve developed a series of colorful, graphic drinkware designed to inspire and elevate the way you sip. Corkcicle Rifle Collection Known for their hand-painted florals and iconic patterns, Rifle Paper Co. has evolved from a line of stationery to a global lifestyle brand. Their products are thoughtfully designed to inspire you to put pen to paper, stay organised and celebrate all of lifeâ&#x20AC;&#x2122;s moments. For Corkcicleâ&#x20AC;&#x2122;s first ever collaboration, Rifle Paper Co. paired their vibrant florals with a collection of Canteens and Tumblers to help make your day a little more beautiful and a lot more fun. Corkcicle Metallic Collection Look sleek and sip in style with the Metallic Collection. The finishes attract attention from the striking copper to the blushing rose metallic. Corkcicle Classic Collection Add a pop of colour to your look, with a spectrum of colours in the collection, thereâ&#x20AC;&#x2122;s sure to be a colour to match your style. FITS ONE BOTTLE OF WINE! FITS OVER TWO BOTTLES OF WINE! THE ACAI BERRY CANTEEN RESEMBLES THE COLOUR AND RICH TASTE OF THE ACAI BERRY, A CROSS BETWEEN BLACKBERRIES AND CHOCOLATE; WHAT’S NOT TO LOVE? POUR THROUGH FEATURE GREAT GIFTS! Corkcicle Accessories Lost something? Or want something extra, weâ&#x20AC;&#x2122;ve got you covered. Also available: Canteen Caps, and Tumbler and Stemless Lids. eet Stojo, the ultra-portable, leak-proof, collapsible, and reusable coffee cup. Designed by coffee lovers, itâ&#x20AC;&#x2122;s a convenient alternative to bulky travel mugs and better for the environment than disposable cups. Plus, Stojo breaks down for easy cleaning and has none of the bad stuff â&#x20AC;&#x201C; BPAs, phthalates, leads or glues. Stojo 2019 welcomes new colours for the Stojo range, as well as a new size, meet Mini â&#x20AC;&#x201C; the collapsible coffee cup perfect for your flat whites and double espressos. Stojo Brooklyn Collection Stojo Brooklyn is the new premium collection made for coffee connoisseurs in trend-led colours. ip is the sleek way to stay hydrated. With a smart design and noble mission, Hip helps your lifestyle and your conscience. Through a partnership with Water for People, each Hip product purchased provides two days of safe drinking water to a person in need. Giving you that extra feel-good factor with your purchase. Itâ&#x20AC;&#x2122;s Hip to give back. IT’S HIP TO GIVE BACK! We believe that even the smallest gestures can create a ripple effect of extraordinary goodness. So – what if you made the gesture and Hip took care of the ripple? Through a partnership with Water For People, every Hip bottle purchased provides two days of safe drinking water to a person in need. n 2010, bobble was born, with a desire to satisfy the need for fresh, tasty water whilst reducing the amount of single-serve plastic bottles used on a daily basis. Our mission is to eliminate single-serve plastic bottles, by offering fashionable, more functional alternatives that you want to take with you on every adventure. FILTER OR INFUSE WITH FRUIT! ay goodbye to throw away wrappers and enjoy your lunch on the go by choosing the environmentally-friendly option with Roll’eat. Roll’eat products are the perfect size for a sandwich or snack – they are reusable, easy to clean and light enough to take with you anywhere. Become a champion of the wasteless lunch with Roll’eat! 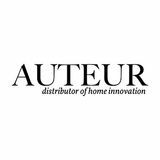 Auteur Trade Website How to order We are delighted to announce the launch of our new Trade site. This will make it super easy for you to view our brands, build your range, find out what’s new and place your orders. Simply go to www.auteurlimited.co.uk, click on Trade and register for a new Trade account. Once your account has been approved we will send you your log in details and you are ready to go!